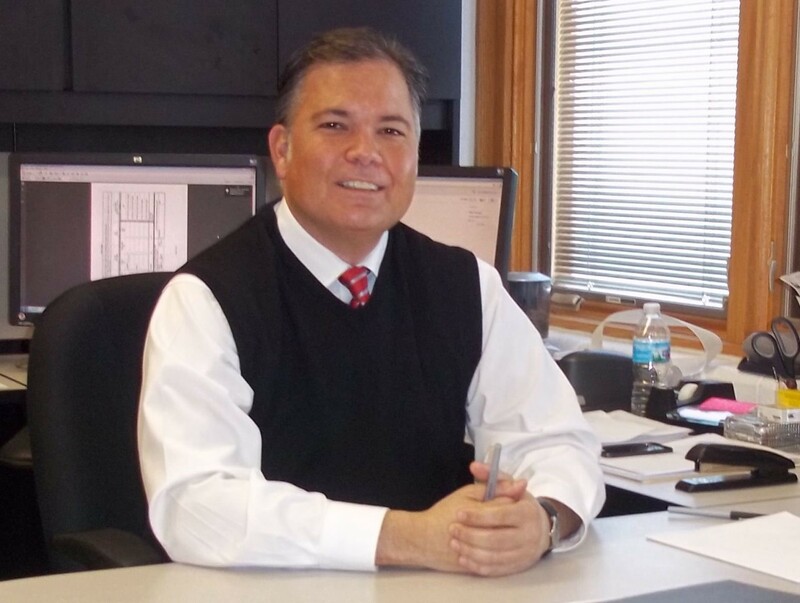 Welcome to the Jonathan Alder Treasurer's Page! Available below, please find some general information about the Treasurer’s office as well as school district financial information and updates. 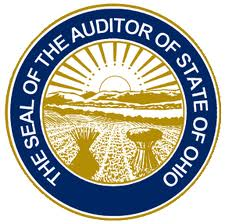 The Ohio Auditor of State, Dave Yost, has presented the district the Ohio Auditor of State Award for exemplary financial reporting every fiscal year since 2013. The district is at what is known as the “20 mill floor”. By law, the county auditor must collect a minimum of 20 mills for the local school district. This represents approximately 33% of district revenues, and should grow with new construction in the district or property value increase. Property values are either updated or reappraised every three years. It is also possible to see a decrease in this area if property values go down. The district currently has a 1.25% "earned" income tax for operations. .5 is on a 7 year term expiring (up for renewal) in 2021, and .75% is on a 10 year term expiring (up for renewal) in 2026. Tax preparation and filing help. Although the tax on business inventory and equipment was eliminated, the district still collects a tax on public utility assets located in the district. This is the basic aid funding the state provides the district, about 42% of total revenues. The driving factors in state funding are district enrollment, State funding amount per pupil (currently $5,745), and the districts property valuation per pupil. The state determines their share by an index based on the property wealth per student compared to the state average. 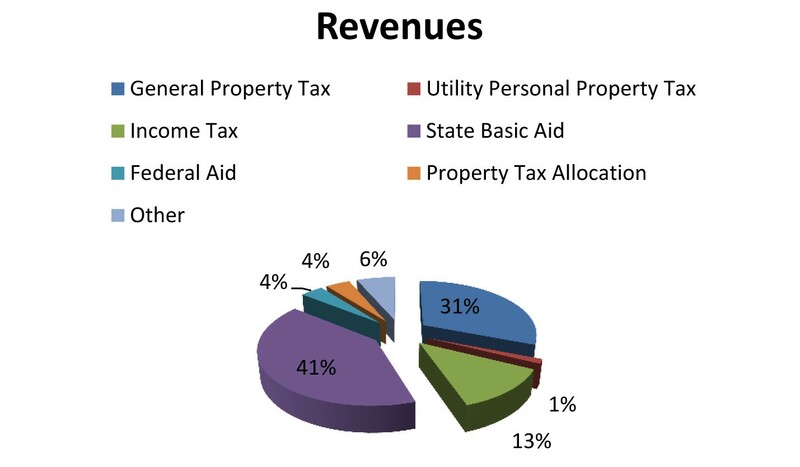 Property Tax allocation is a 12.5% property tax credit paid by the state on behalf of homeowners. Other revenue is mostly open enrollment and tuition received from other districts. Personal services are salaries and wages paid by the district. Since schools are service organizations, staff costs are a significant part of the budget. Teachers, Aides, Bus Drivers, Maintenance and Custodial, Coaches and Advisors, Office and Administrative make up the staff of the district. The district is required to contribute 14% of salaries and wages to the STRS and SERS retirement systems. The district also provides Health, Dental, and Life insurance. Employees pay 20% of health insurance premiums, with the district paying 80%. The district has a self-funded Health Insurance program. Although some of a current excess reserve from a prior 22% increase is being returned in the form a monthly premium skip, health insurance costs continue to be a real concern to the budget. Purchased Services includes utilities, maintenance and repairs, copier lease, postage, legal, bus repairs, data processing, tuition, curriculum, special education, and Treasurer services. Tuition is a significant charge to services from charter and community school students, as well as special education tuition. Included in this category are textbooks, instructional materials, library books, maintenance and cleaning supplies, office supplies, bus fuel, bus tires and replacement parts. This includes major building repairs and upgrades, furniture, computers, and buses. Most of capital outlay is expended from a District permanent improvement fund. 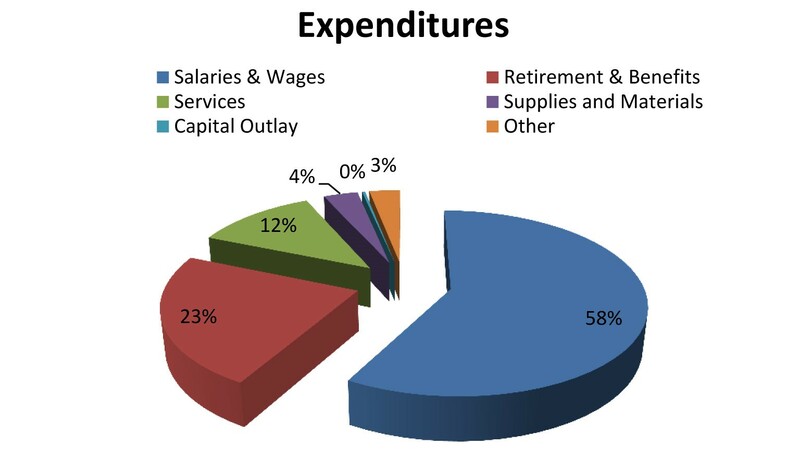 Other expenditures consists mostly of County Auditor and State department tax administrative fees, as well as yearly audit fees and liability insurance.